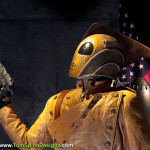 This is actually the second Rocketeer display we’ve created (see the first life sized Rocketeer display here). 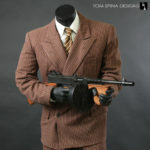 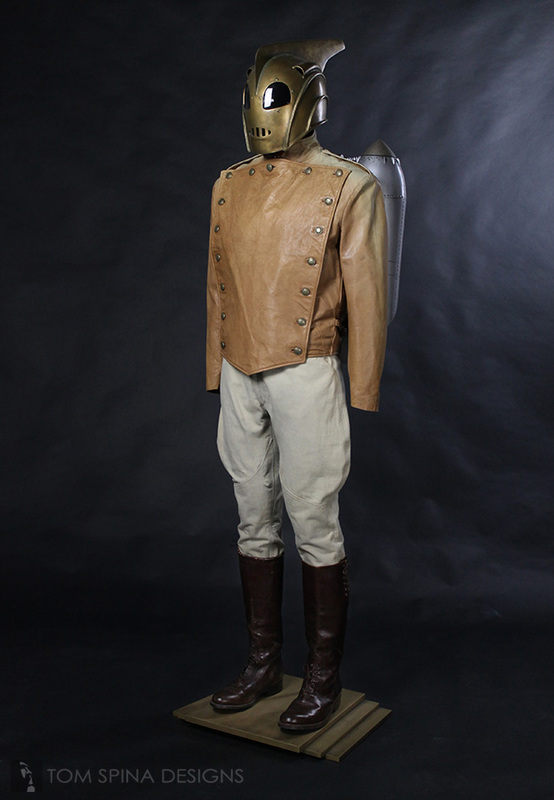 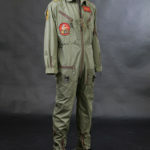 In this case, we pushed in a more streamlined, museum style display, creating a custom mannequin in a neutral pose based on the specific measurements of a screen worn Rocketeer costume, and the production made pack and helmet. 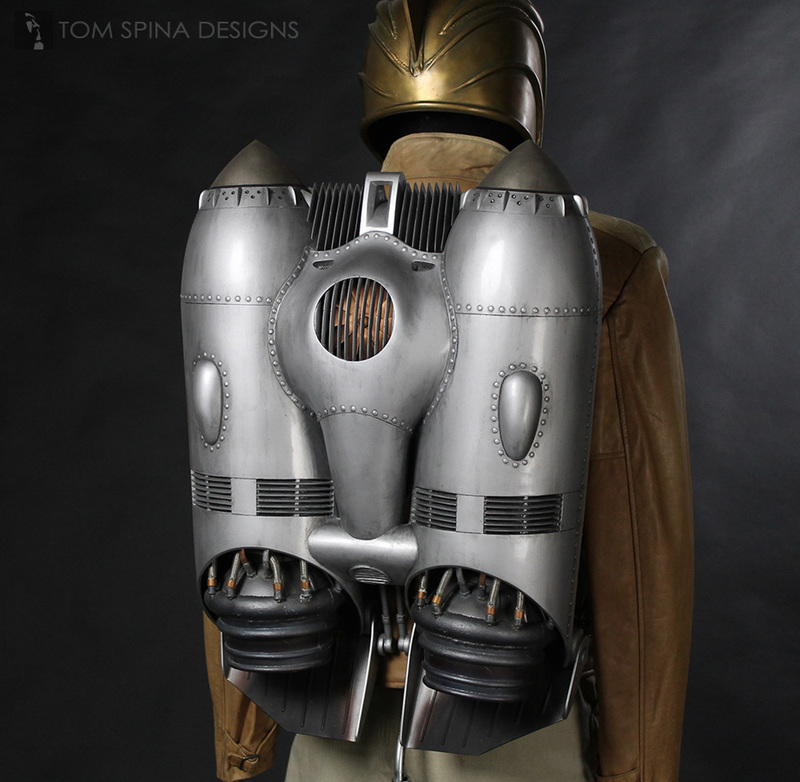 We not only wanted it to fit properly so that it would look good but also help to support the costume and the heavy jet pack prop over time. We also had to customize the head to fit within the Rocketeer’s signature helmet. 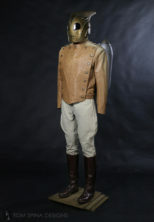 Most of the time mannequins are supported through a post in the foot or back of the calf. 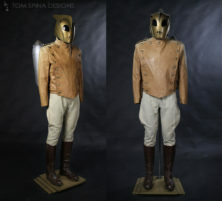 But since the boots were screen used and the movie worn trousers tucked inside the boots, had to come up with an alternate solution. 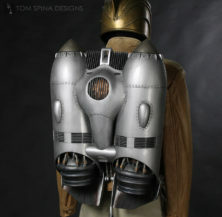 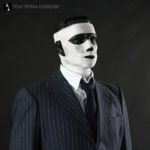 We used a thin steel post to support the figure, and snuck that post up the back and under the jacket. 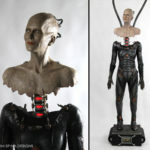 Just above that connection point on the mannequin, we reinforced the torso with added fiberglass and added an aluminum connection that would hold the pack in place and support the weight of that heavy resin prop. 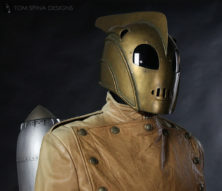 To compliment the figure, but not distract from it, we created a very simple design inspired by the art deco style that is seen throughout the film. 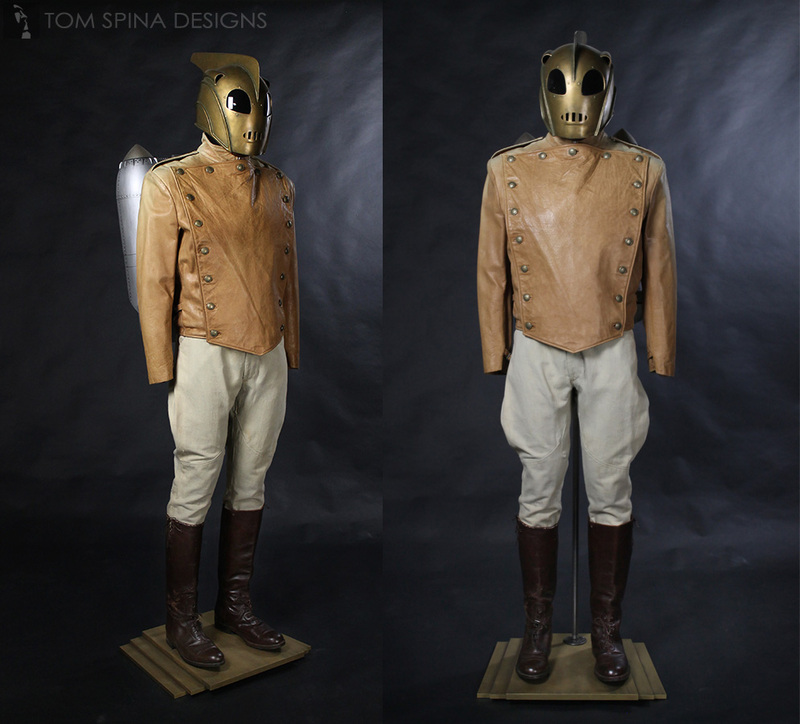 With just a few stepped layers and a weathered gold paint scheme, the base captures the feel of the film and the era it represents and fits right in with this classic movie costume from a fun adventure film!